Santa Anita Picks and Plays Saturday, April 25, 2015: The Kentucky Derby is just around the corner, and everybody is waiting for the most exciting two minutes in sports. 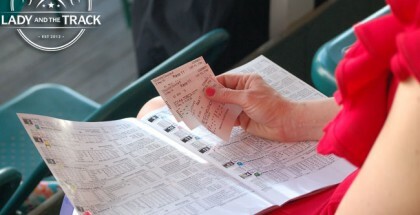 But, Santa Anita Park still has some nice races to offer that will help keep you excited about horse racing. The main race at Santa Anita will be the Grade III Last Tycoon Stakes that boasts of some interesting horses. 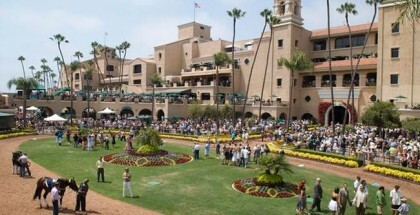 This week, we are trying to hit the always elusive Santa Anita late pick four that usually offers big money and some daily doubles for those who like to play economic wagers. 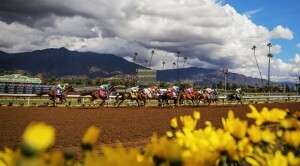 For the second year in a row, Santa Anita will conduct a 39-day Spring Meeting, which will kick off on Friday, April 24 and run through June 28. First post time on Friday will be at 1 p.m., and first post each weekend, with the exception of Kentucky Derby, Preakness and Belmont Stakes Days, will be at 12:30 p.m.
Danette has been facing tougher competition, including some graded stakes winners, but she is still a maiden. In her last race in the Fair Ground Oaks, she was off slow but closed well and managed a decent fourth in a race won by Kentucky Oaks contender I’m a Chatterbox. Danette tried the turf for the first time on March 1 and finished in sixth, just 4¾ lengths off the winner. She was the favorite in that race but suffered from a bad trip. Now, Danette drops in class and should win this race. I know Danette does not seem to like to win, but she has a huge chance to break her maiden against this field. It would not be surprising to see Danette begin a winning streak after she breaks her maiden. K Thirty Eight returned from a long layoff with a nice gate-to-wire win in a maiden special weight event. Since that effort, this horse has been working very well, and jockey Alex Solis stays in the irons. This horse has always been considered a good one, so he should be able to win this race since the field is not really tough. His only real contender in this spot is Frensham, a horse who failed as the favorite in his last race. Frensham looks fit in the mornings, and his trainer Doug O’Neill has a nice record with horses in their third starts off a layoff, so this horse is eligible to bounce back. The Last Tycoon Stakes (GIII) is a wide open race covering 1¼ miles on the turf. I’m giving the slight edge to a horse that looks fit, Power Foot. This horse has had three races this year and has hit the board twice in the San Marcos (GII) and the San Luis Rey (GII). Power Foot likes the distance and will switch to leading jockey Rafael Bejarano. The Brazilian-bred Ganesh came to America preceded by a successful campaign in Argentina in which he won multiple graded stakes over route distances. 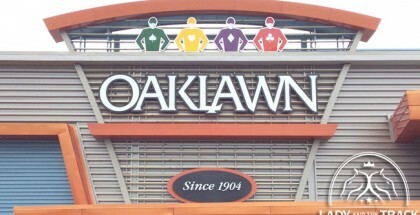 He made his U.S debut in April in a race over a mile on the turf and finished fifth, 4¼ lengths behind the winner. Obviously that race was a prep for this stakes, and Ganesh should certainly appreciate the stretch out to 1¼ miles. Big John has not run since the Breeders’ Cup Turf (GI) in which he was no match for that really tough field. After a well-deserved rest, he’s returning with his usual jockey Mike Smith. Big John did interesting things last year, so you can’t miss this race with him, regardless of the layoff. When Quick Casablanca was ready to show his potential in the states, he suffered from a bout of colic and underwent surgery. Ten months later he returned in a one-mile event, the same as Ganesh, and ran a decent race. Quick Casablanca is a true distance horse; he will feel comfortable running 1¼ miles, and with Gary Stevens in the saddle, he is eligible to improve enough to pull off an upset. Awesome Luck was off slow in her debut and finished in the middle of the pack. After that race, she recorded two nice workouts, including a bullet five furlongs in :59. If she breaks well, she ought to be very tough to beat. Big Move is a daughter of Mr. Big who is literally flying in the mornings, looking prepared for a nice effort. Worth taking into account is the fact that the Mr. Big progeny usually win early. Jean Edward is the most experienced horse of the field and could take advantage of that. It’s important to highlight that the only two races in which he failed badly were on the turf, and he is now running on dirt. Olympic Lady is returning from a long layoff, and her only race resulted in a nice second-place finish in a maiden special weight race. She is working very well and must be included on tickets.